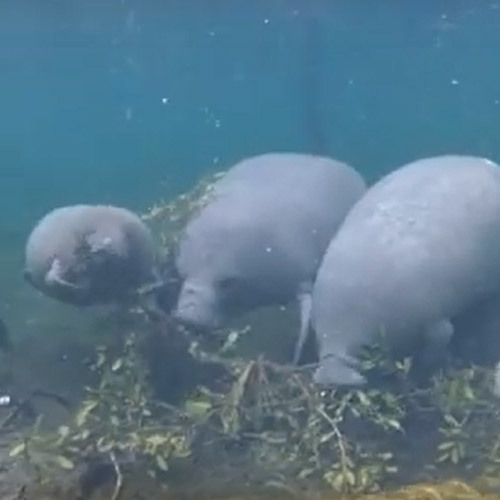 Manatees as caught on the webcam at Blue Spring State Park. 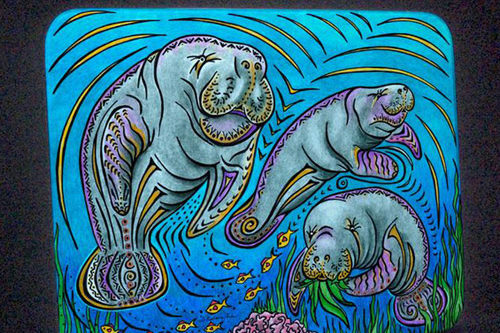 Photo ©Cora Berchem, Save the Manatee Club. 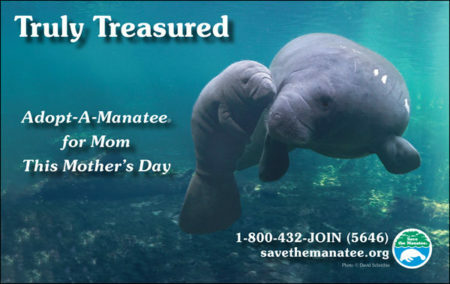 Save the Manatee Club provides free waterproof banners to help warn other boaters when manatees are sighted in the area. 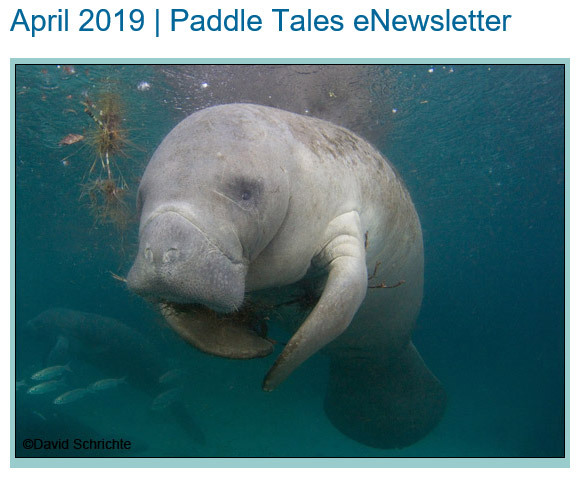 We help protect manatees and their aquatic habitat for future generations by aiding in the recovery and protection of manatees and their aquatic ecosystems throughout the world. 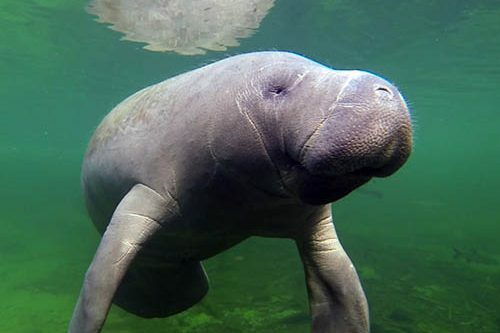 Annie or one of 34 real manatees. Adopt at $35 or more and get a free mother and calf ornament! 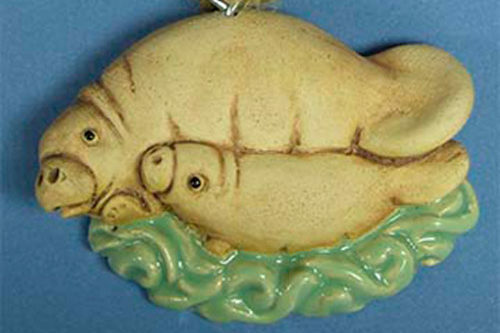 See our gift selection, including a charming cutting board with a manatee design by Stephanie Kiker. 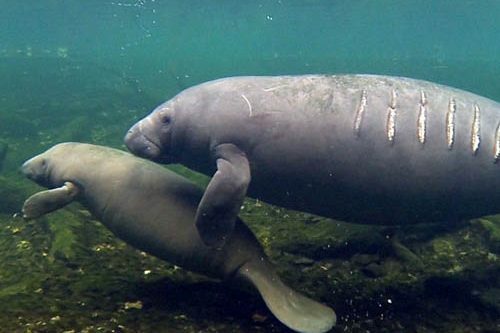 Rescued as an orphan, he is a manatee success story. 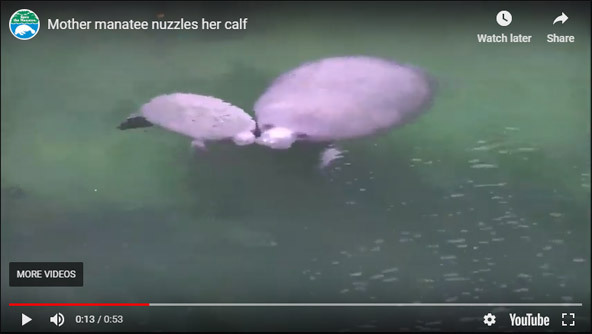 See time-lapse video of manatees on a winter’s day, video of moms and calves, great cavorting footage, and manatees munching. 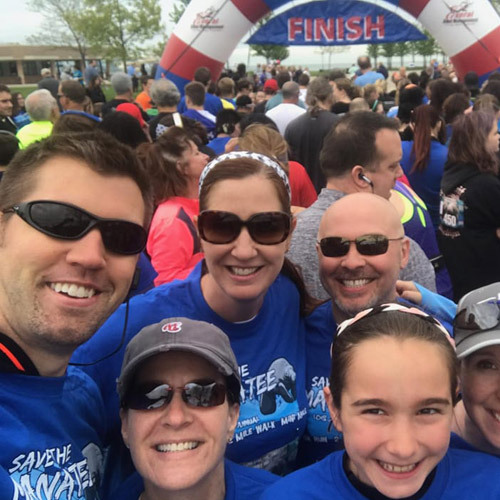 Join the Save the Manatee 5K on May 11th or walk, run, swim, kayak, or bike the Virtual Run on the date and time you choose. 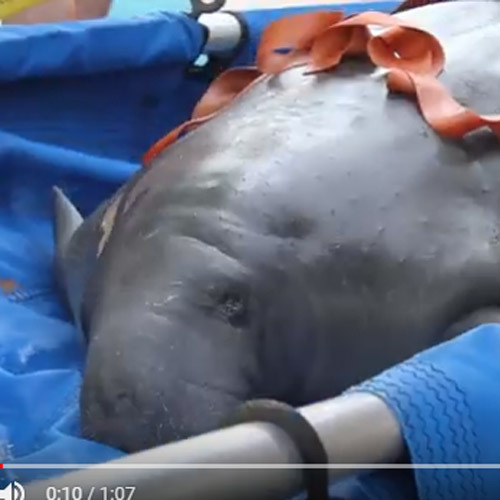 How long are manatees in rehabilitation after they are rescued? 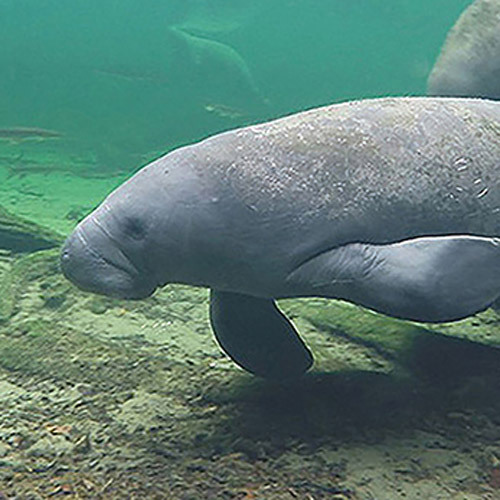 Watch our video and get the answer from Manatee Specialist Wayne Hartley.